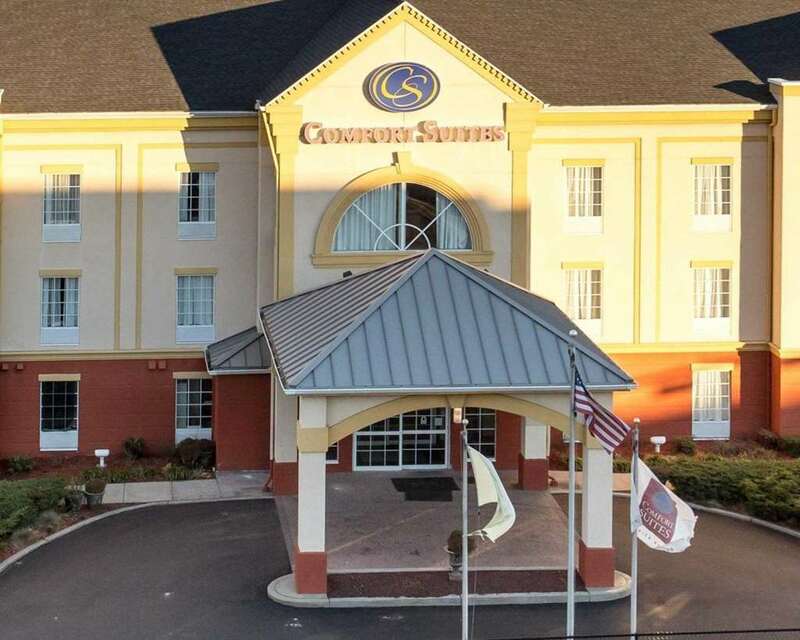 Rest and refresh at the 100 percent smoke-free Comfort Suites hotel in Newark, NJ, which is conveniently located near Newark Airport, Prudential Center, Red Bull Arena, Riverfront Stadium, NJ Performing Arts Center and Newark Penn Station. Get ready to take on the day with such amenities as free WiFi, free parking, free breakfast, meeting room, fitness and business centers. Behind every great day is a great night in your suite, which gives you 25 percent more of the space that you need and features a refrigerator, microwave and recharging device with AC and USB outlets. Also, earn rewards including free nights and gift cards with our Choice Privileges Rewards program. Free bus parking for groups, USD50/day for non-group bus.